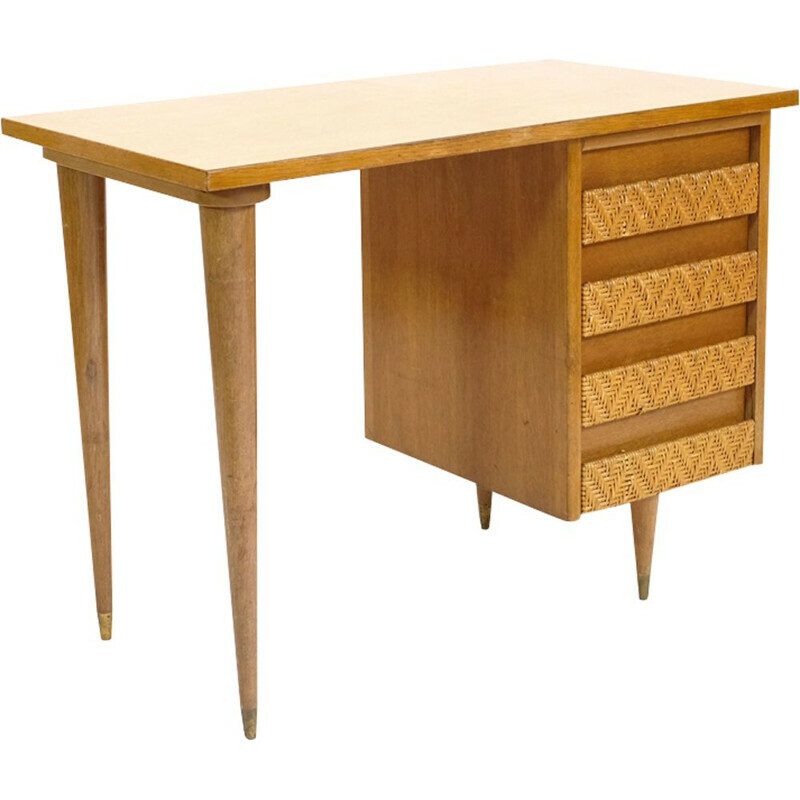 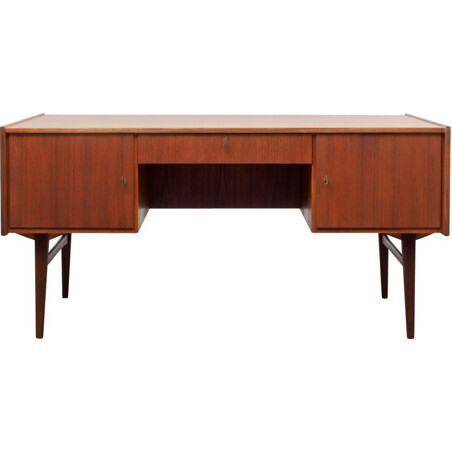 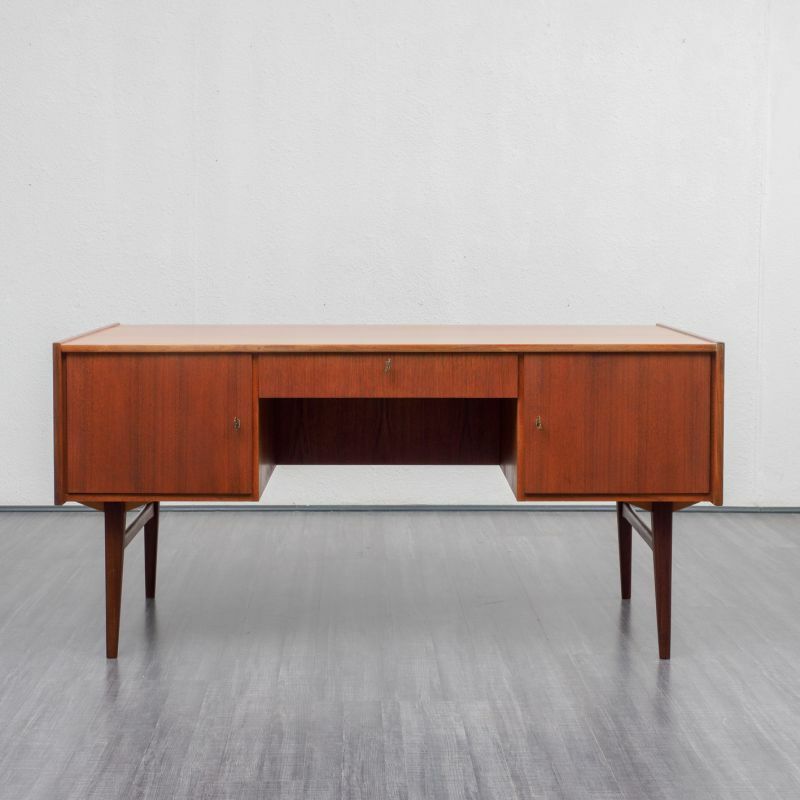 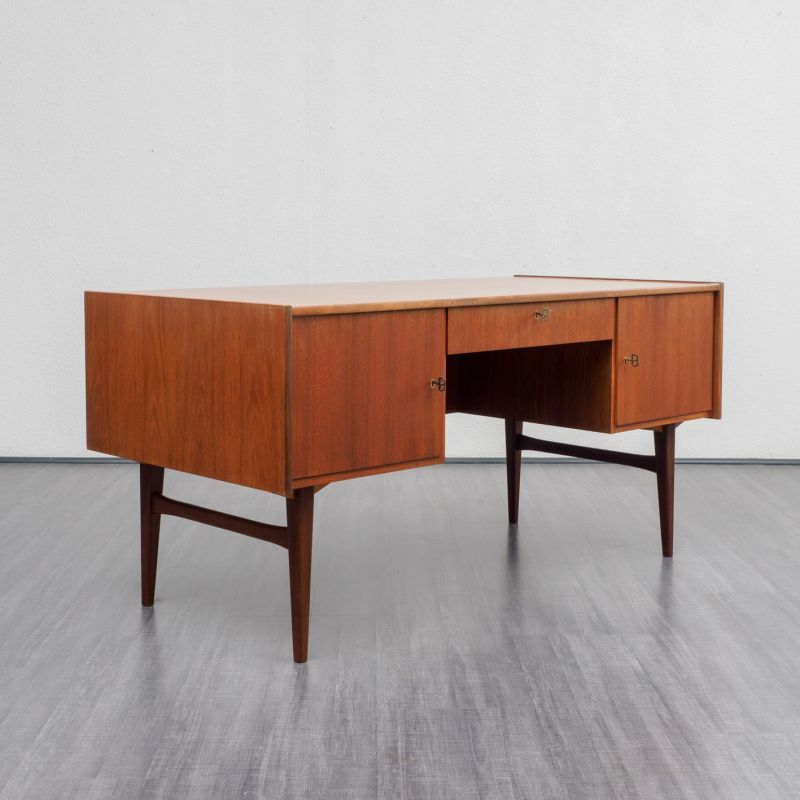 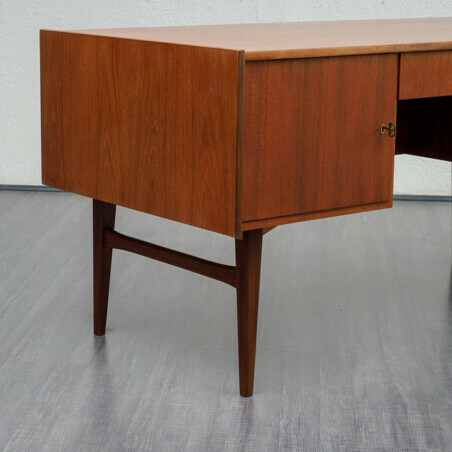 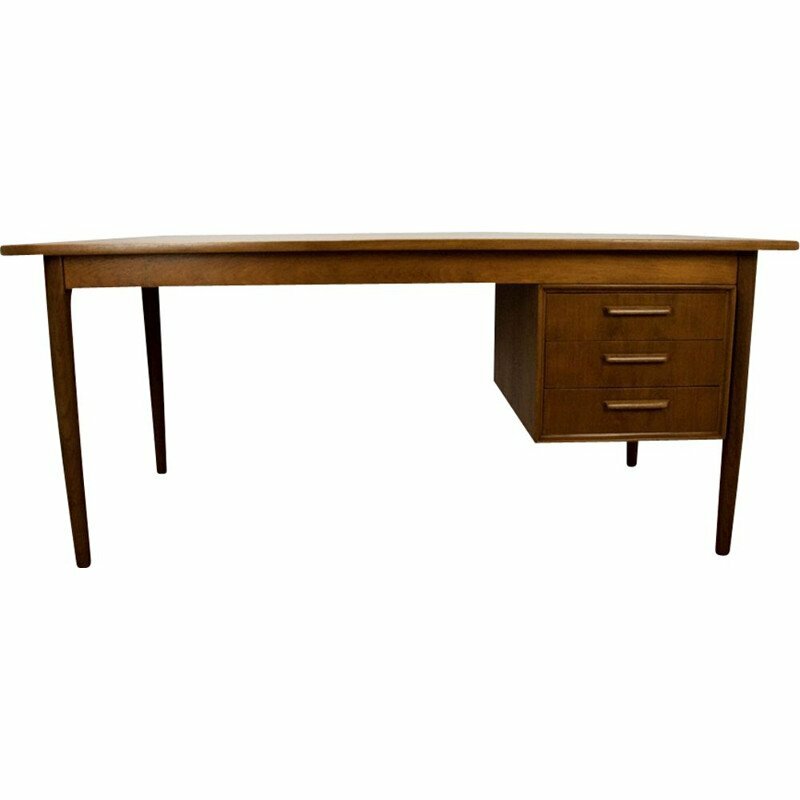 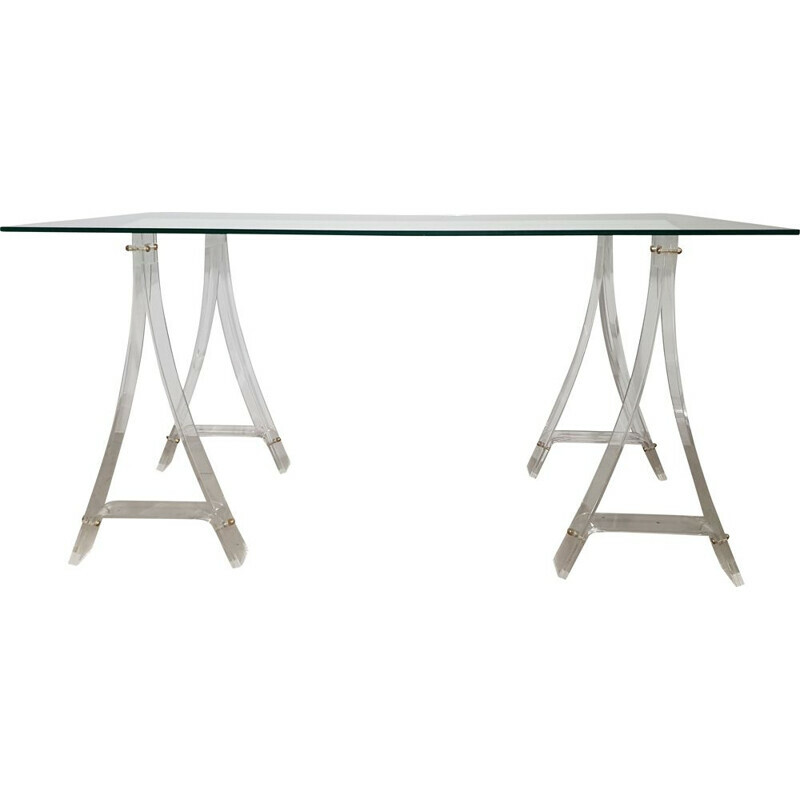 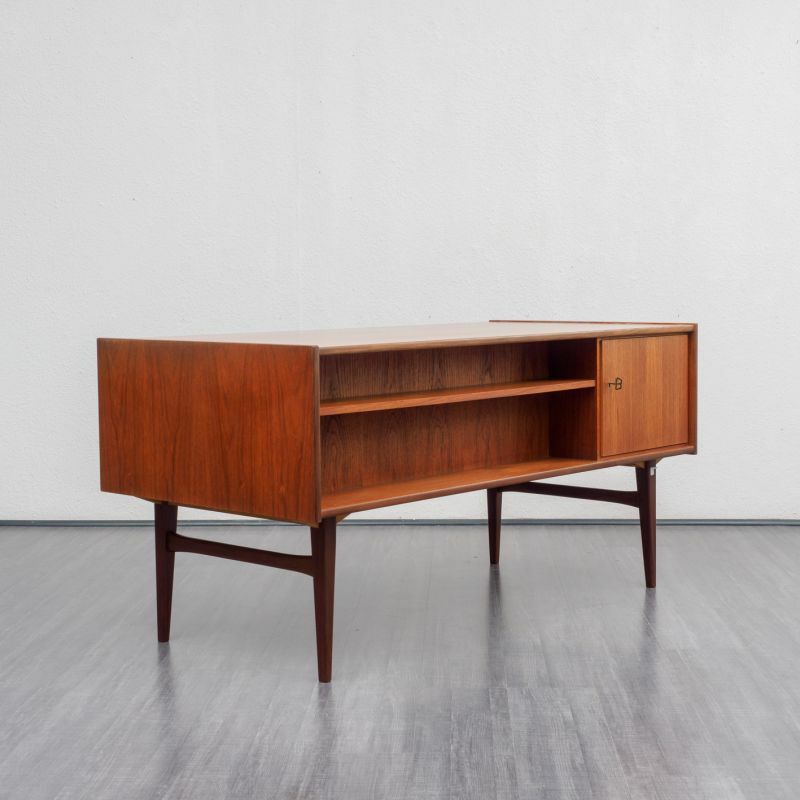 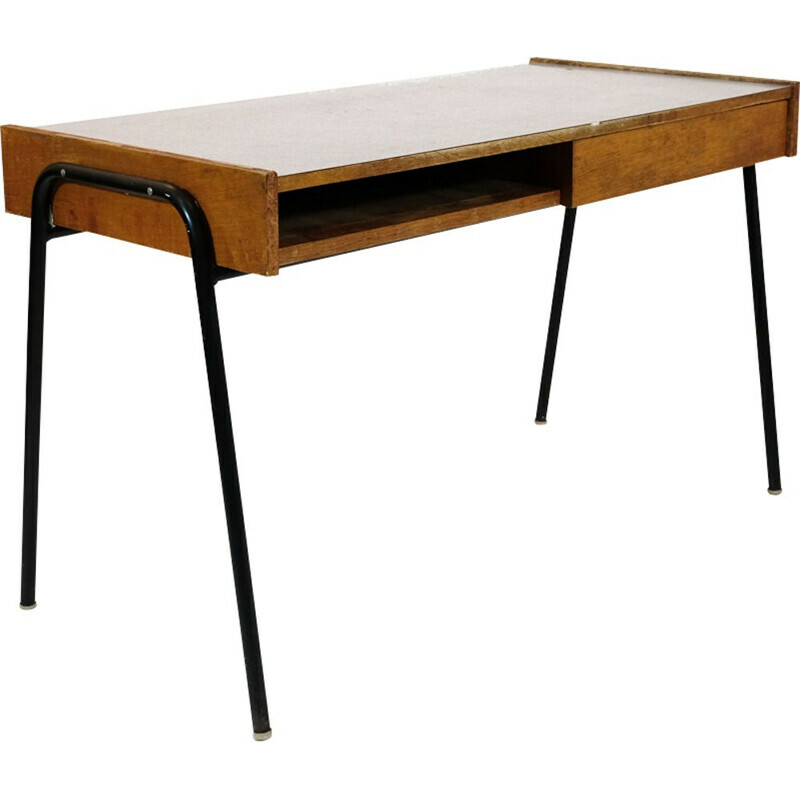 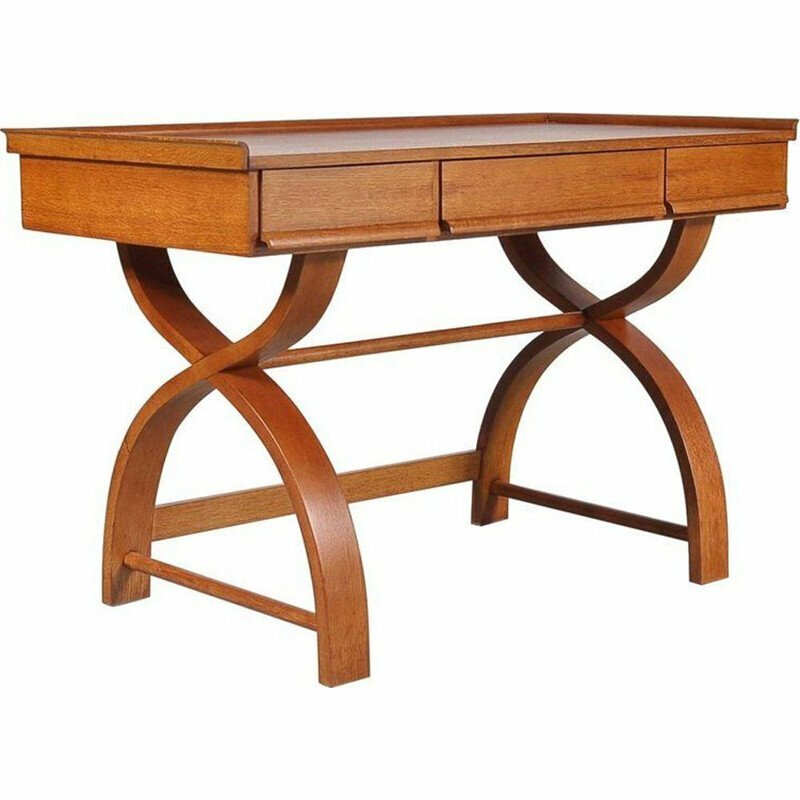 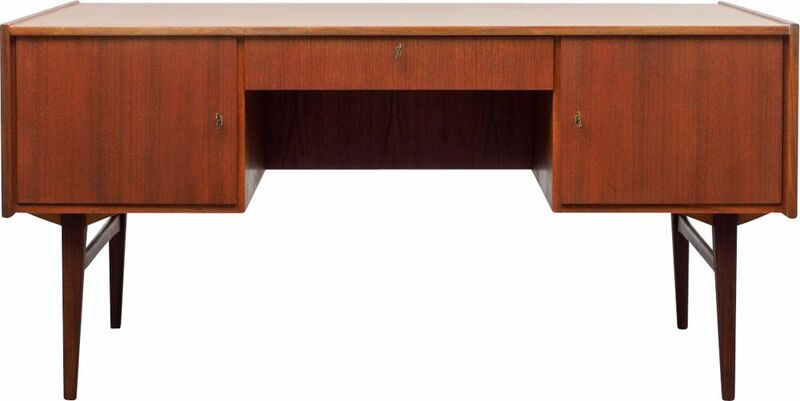 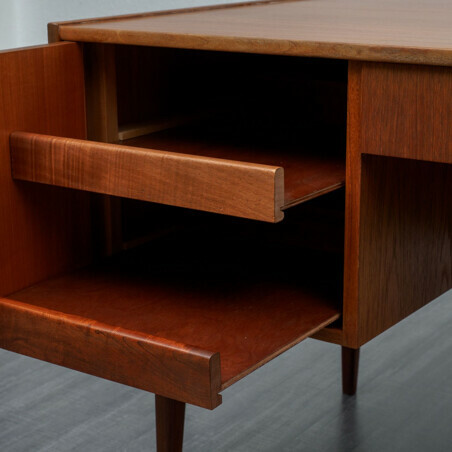 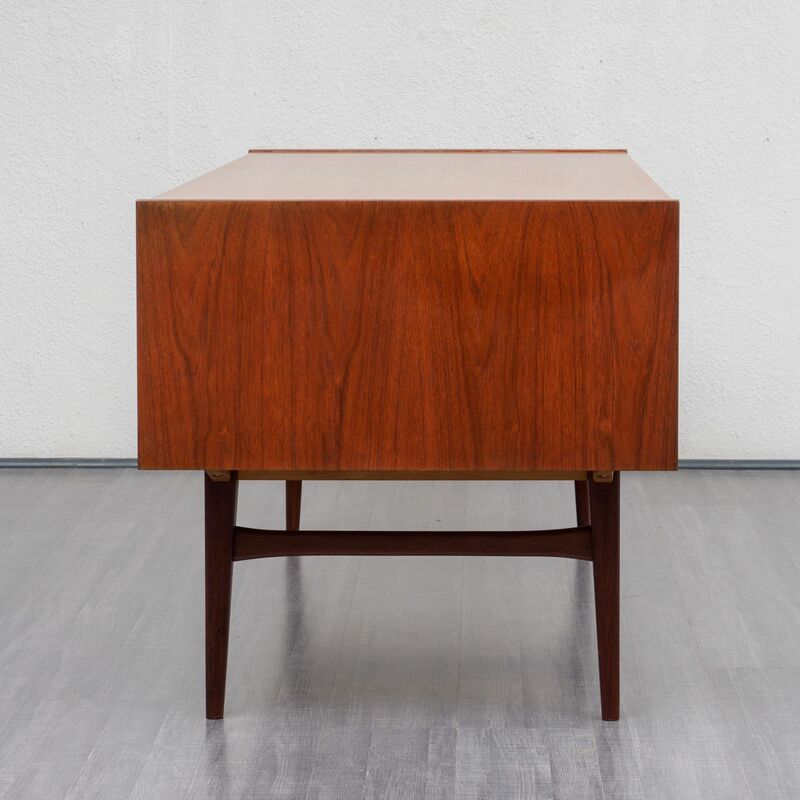 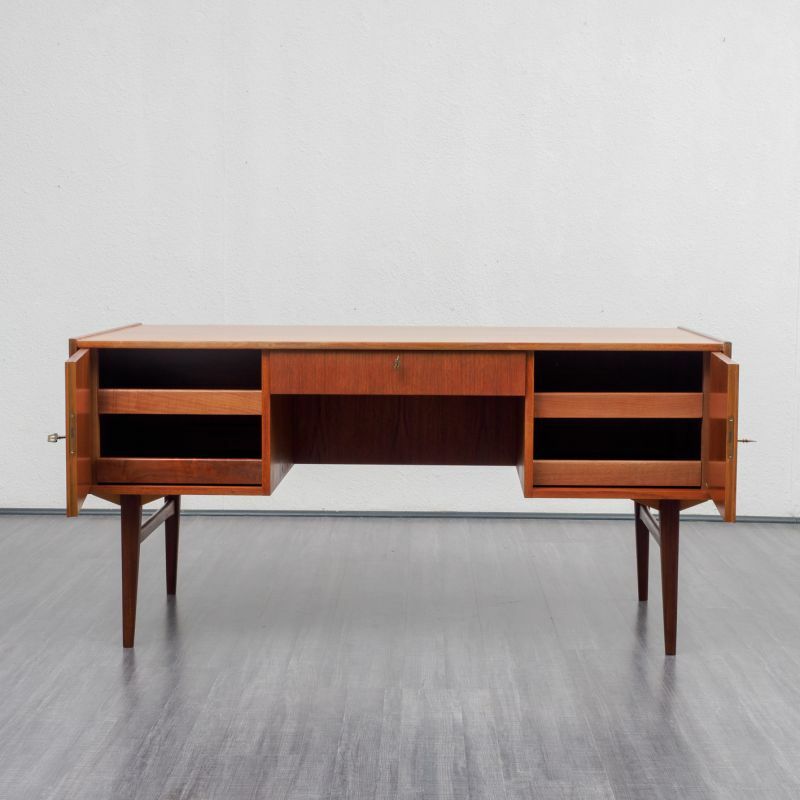 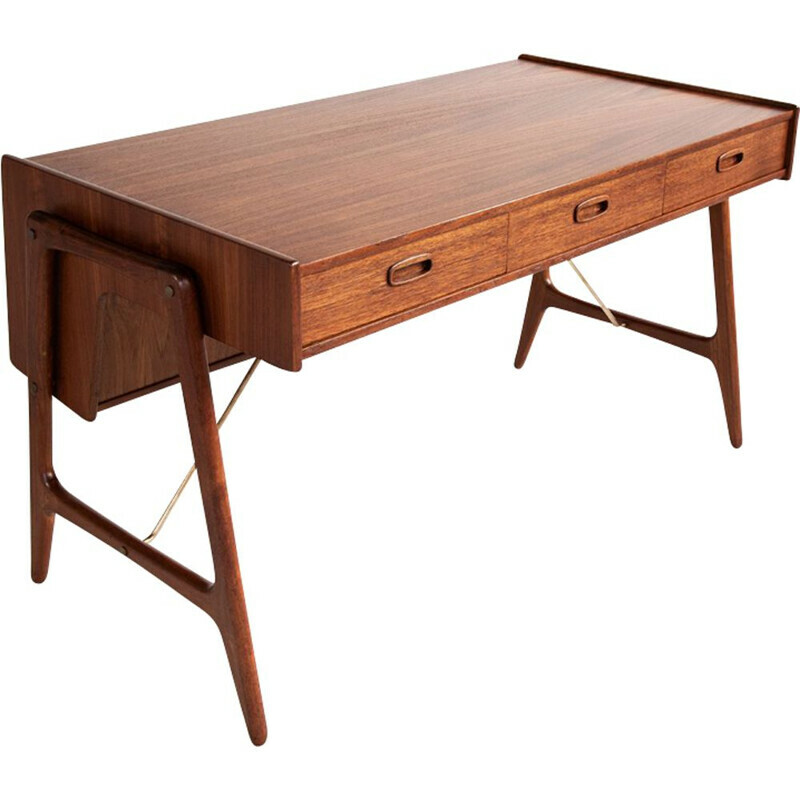 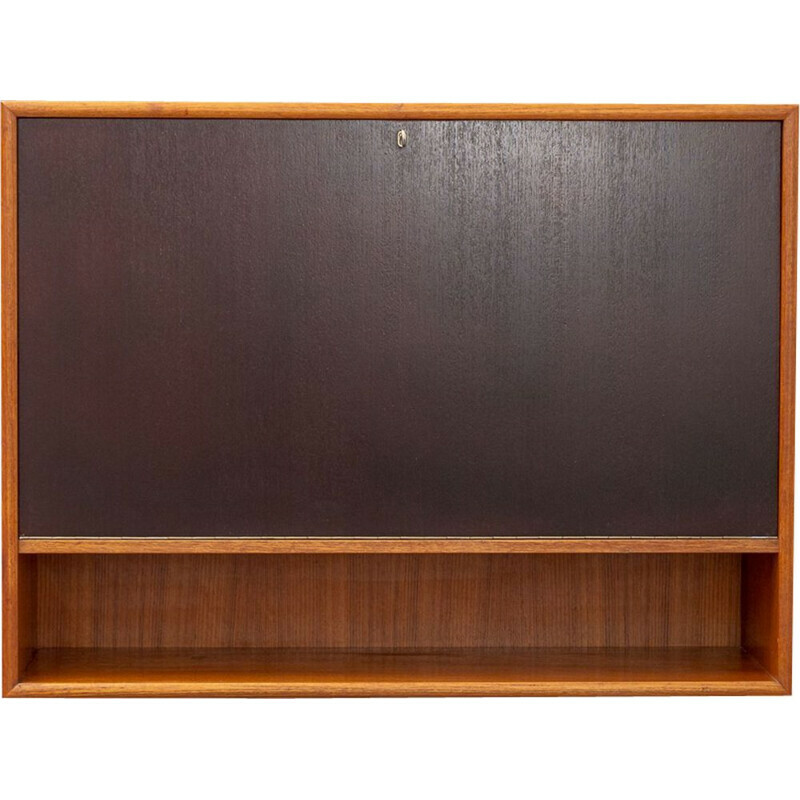 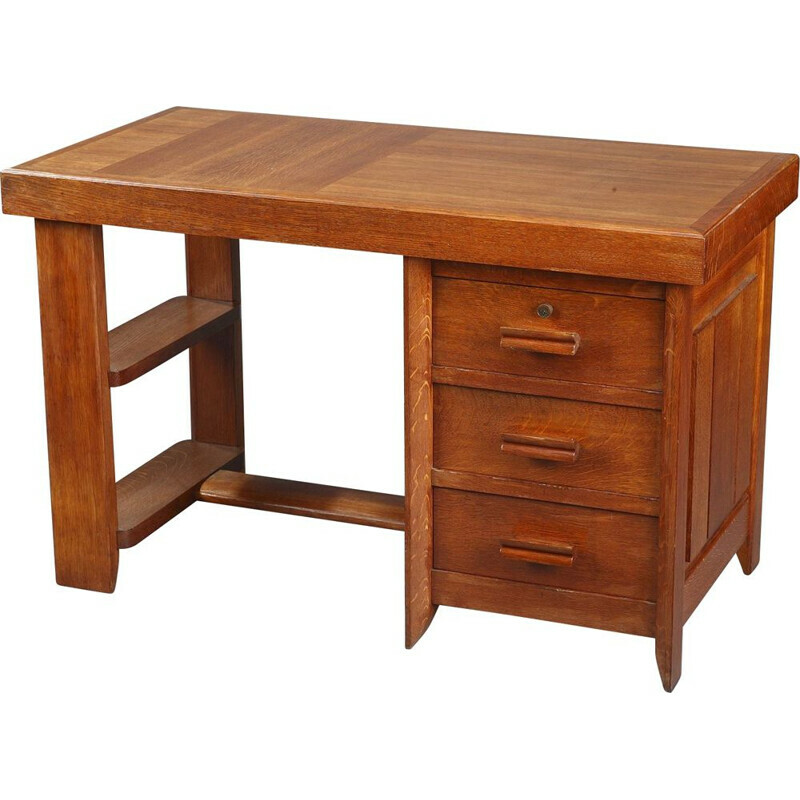 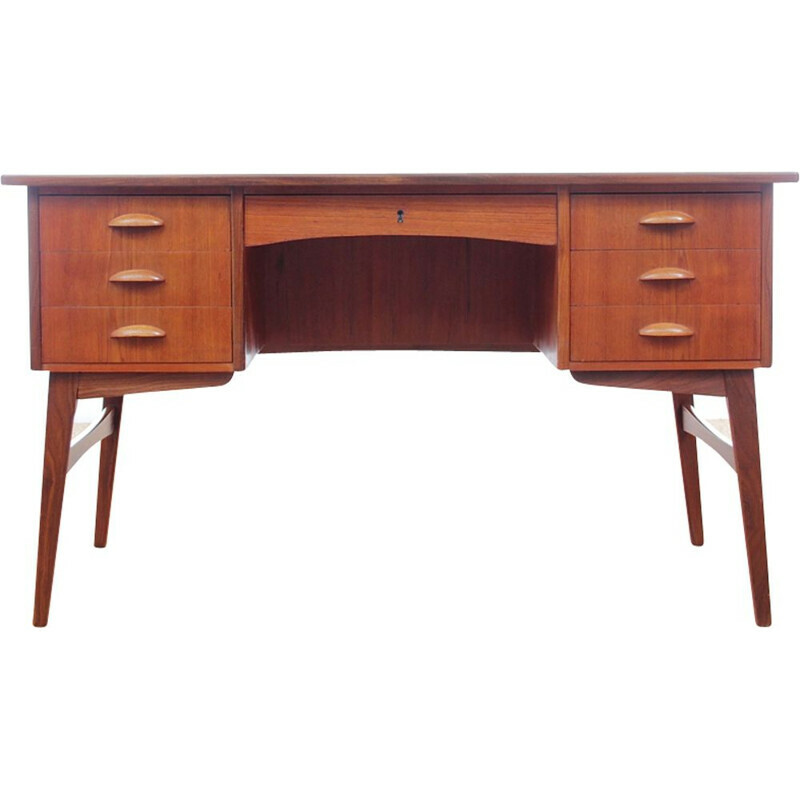 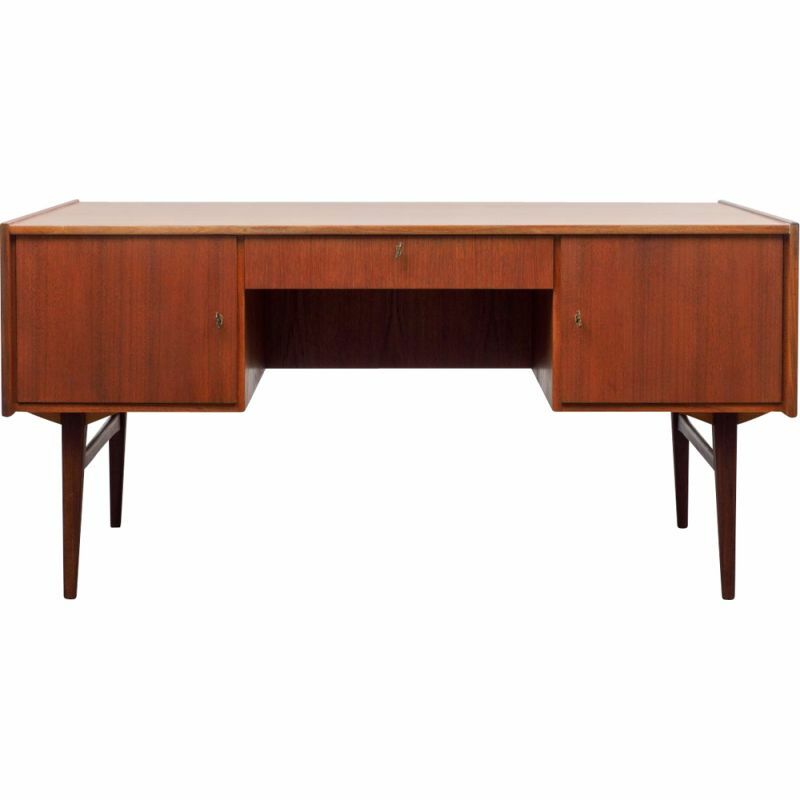 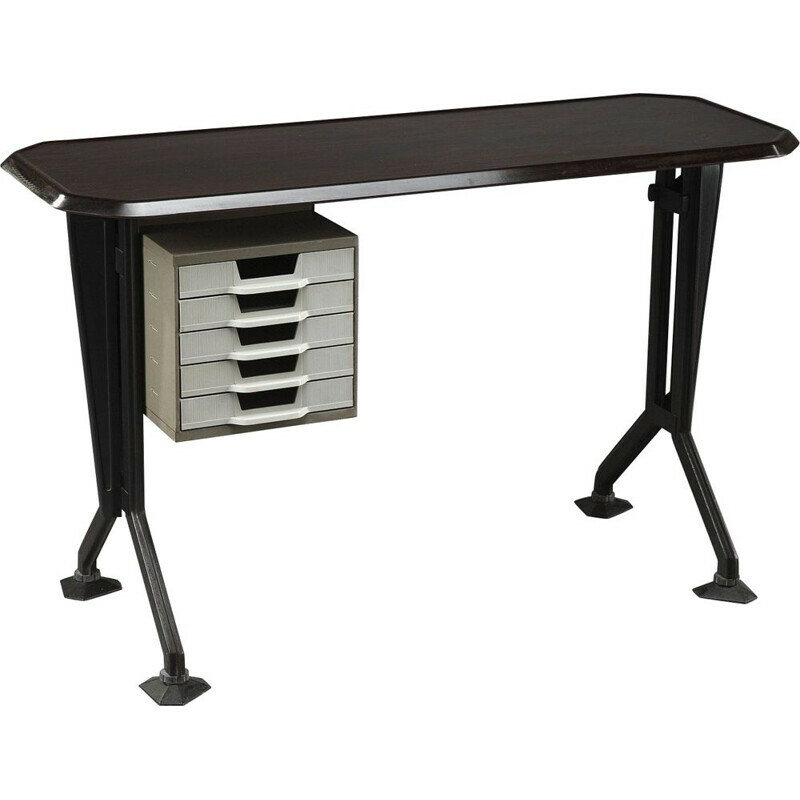 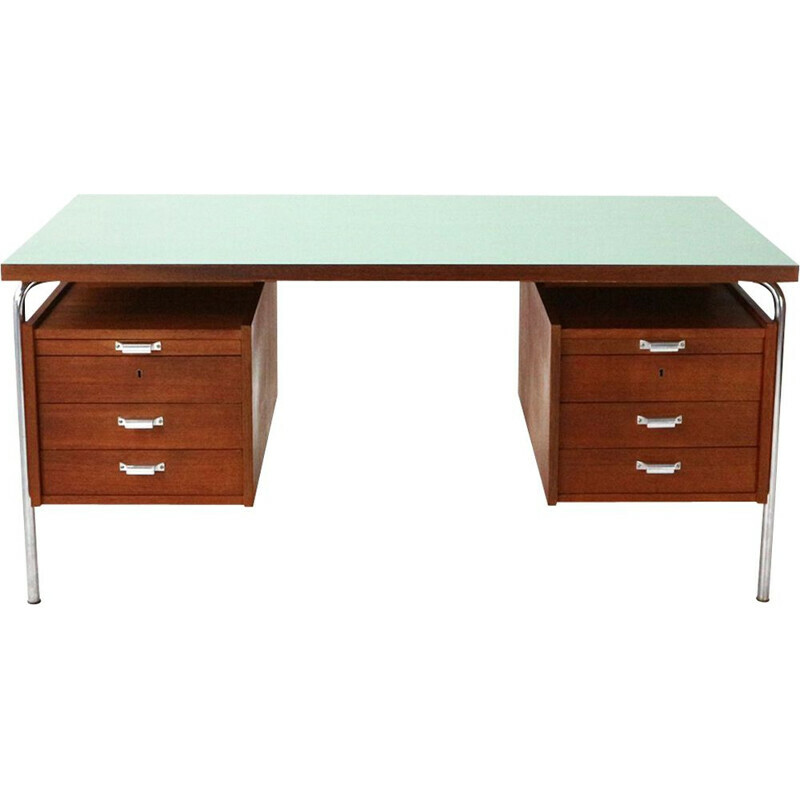 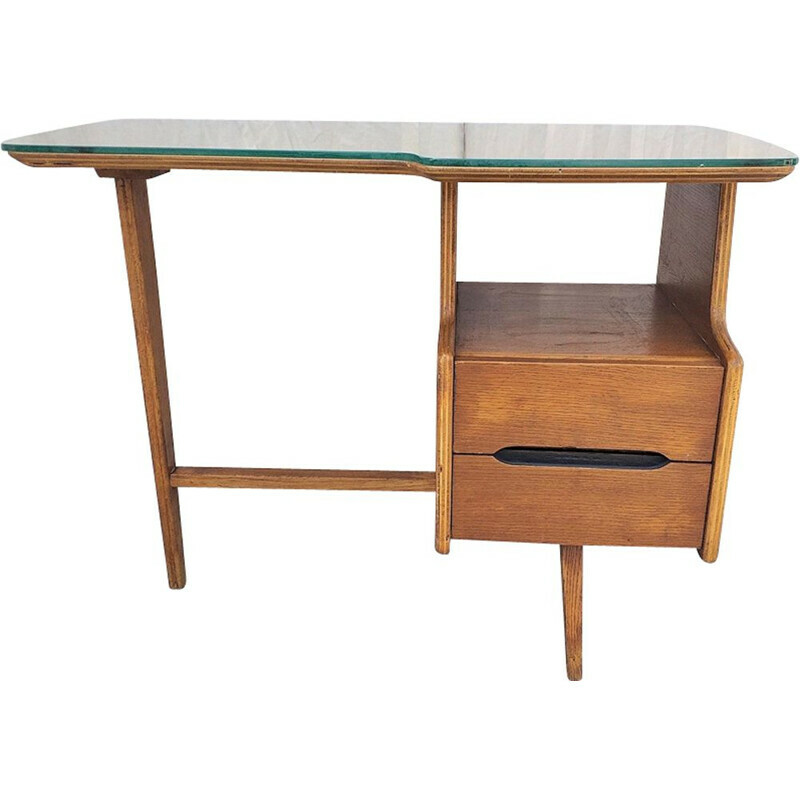 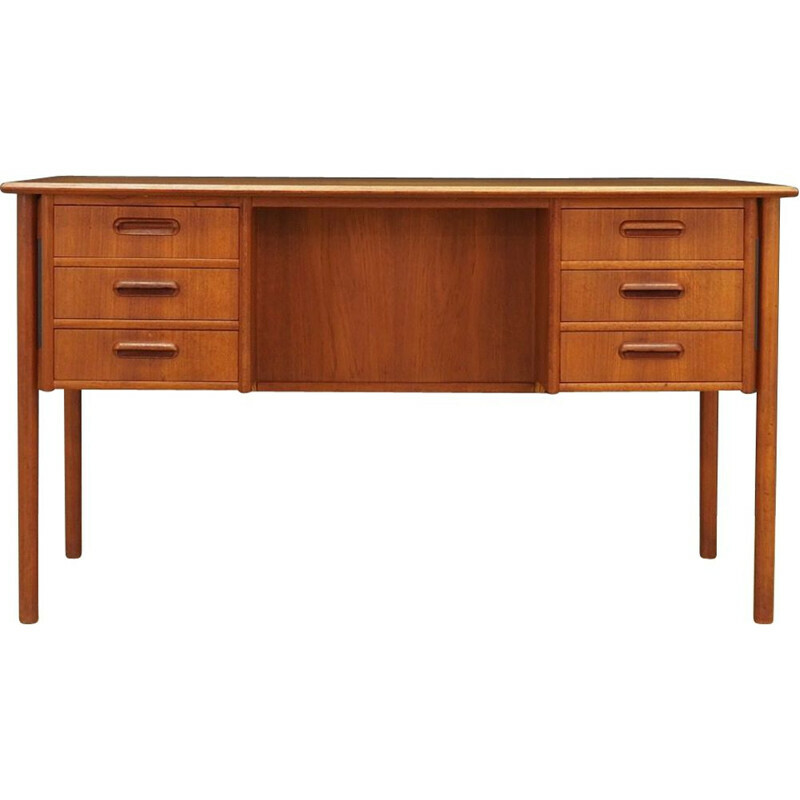 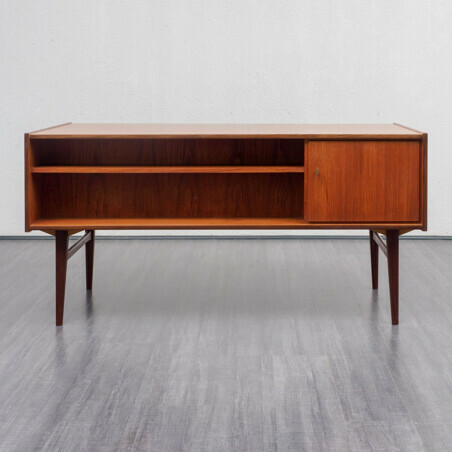 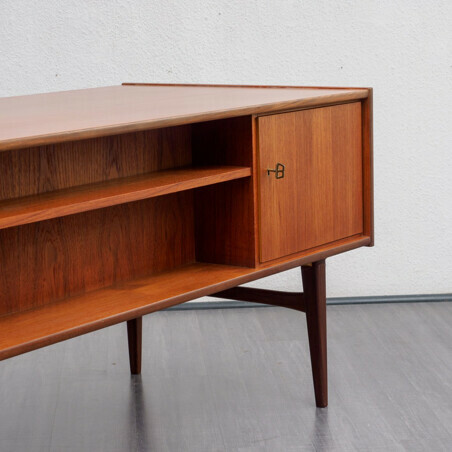 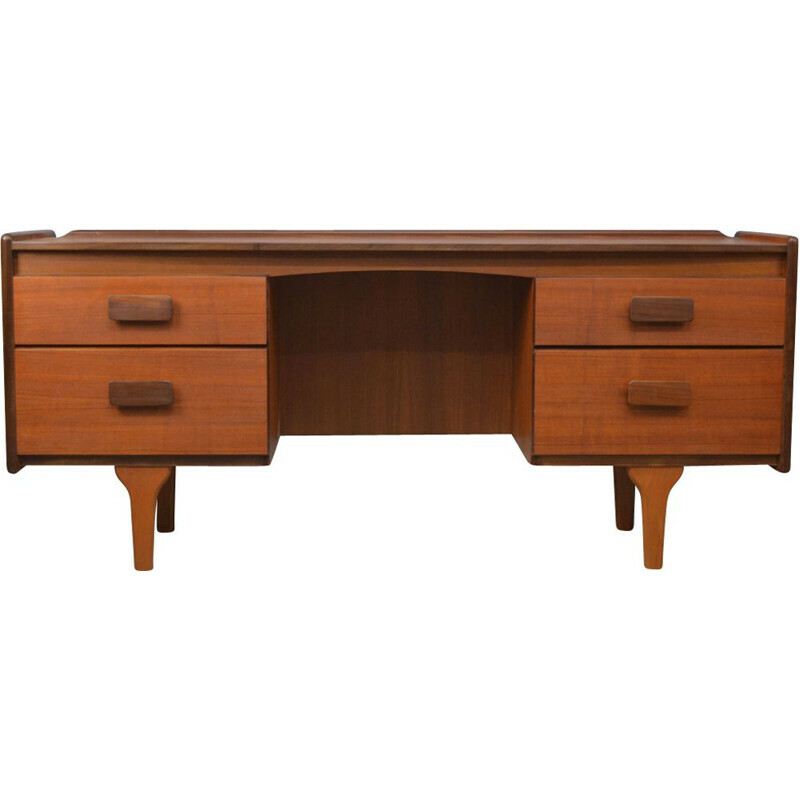 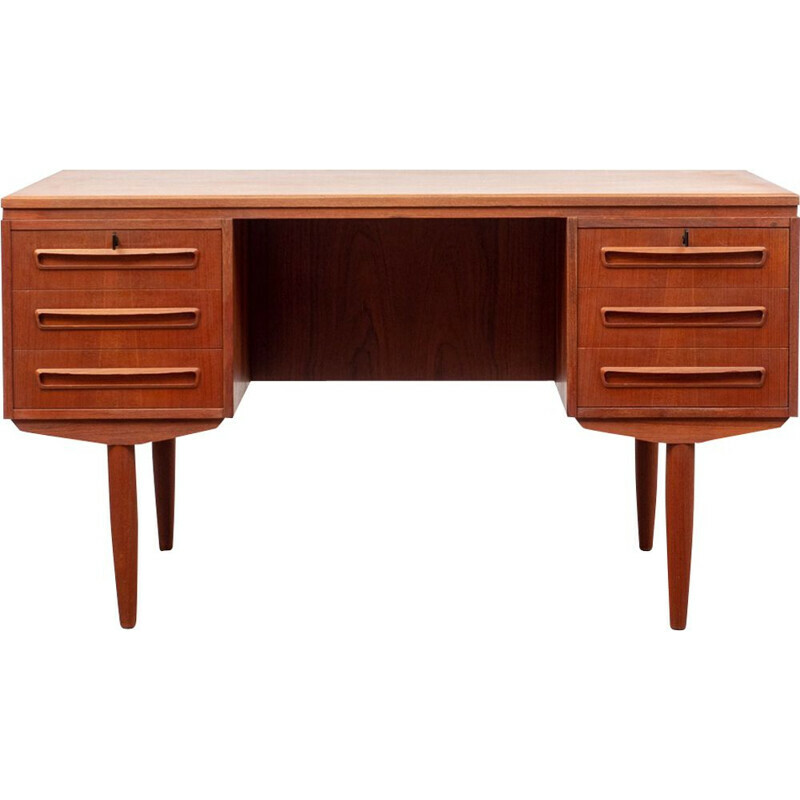 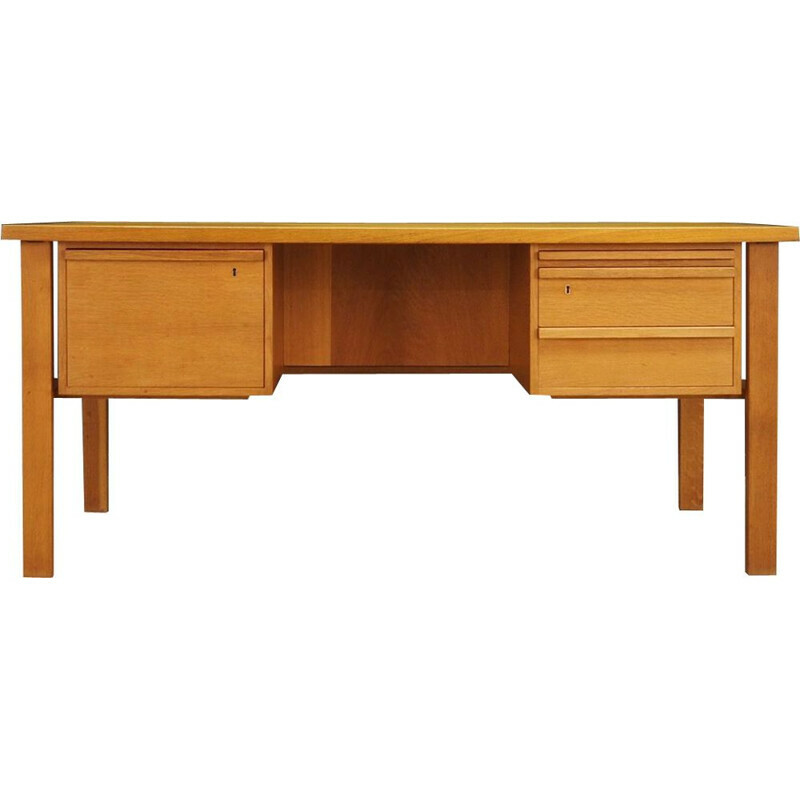 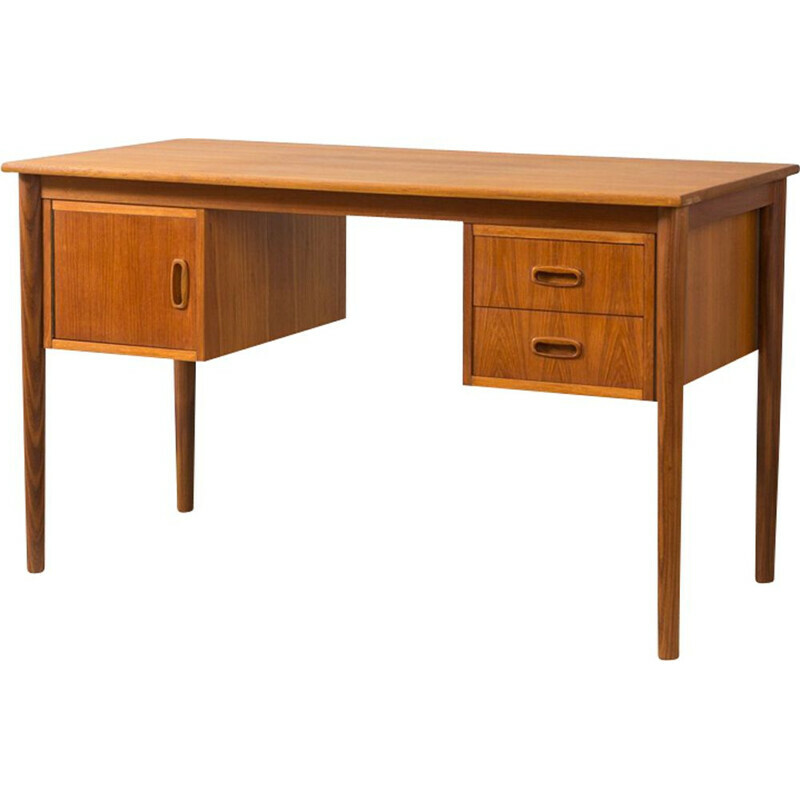 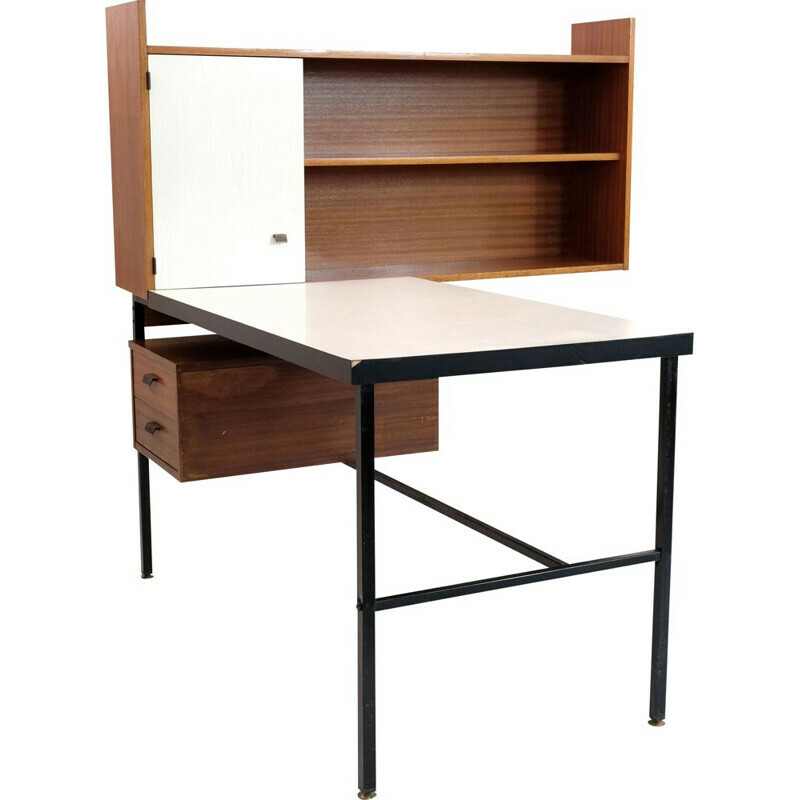 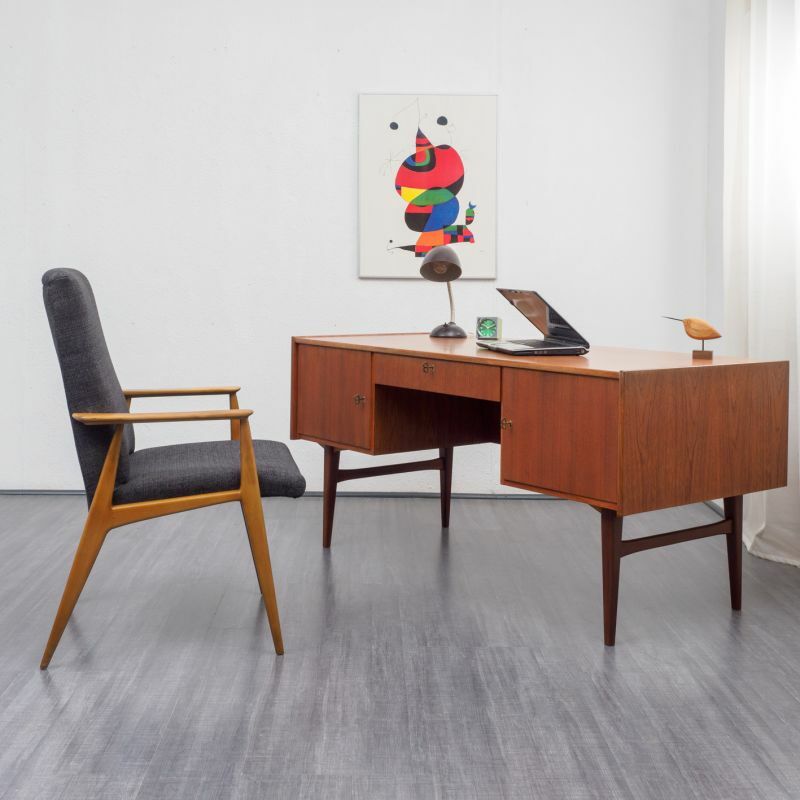 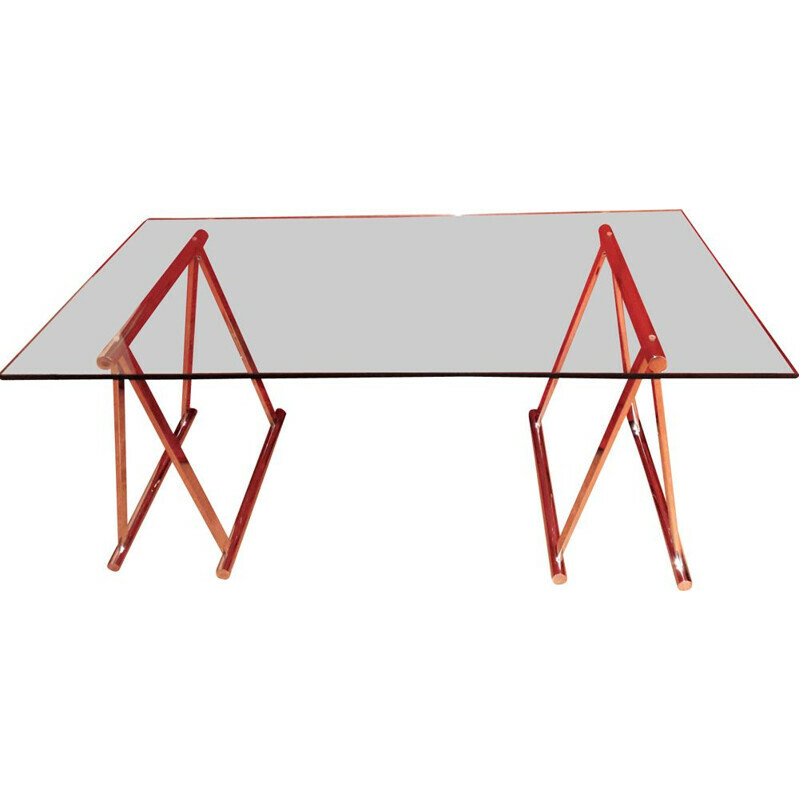 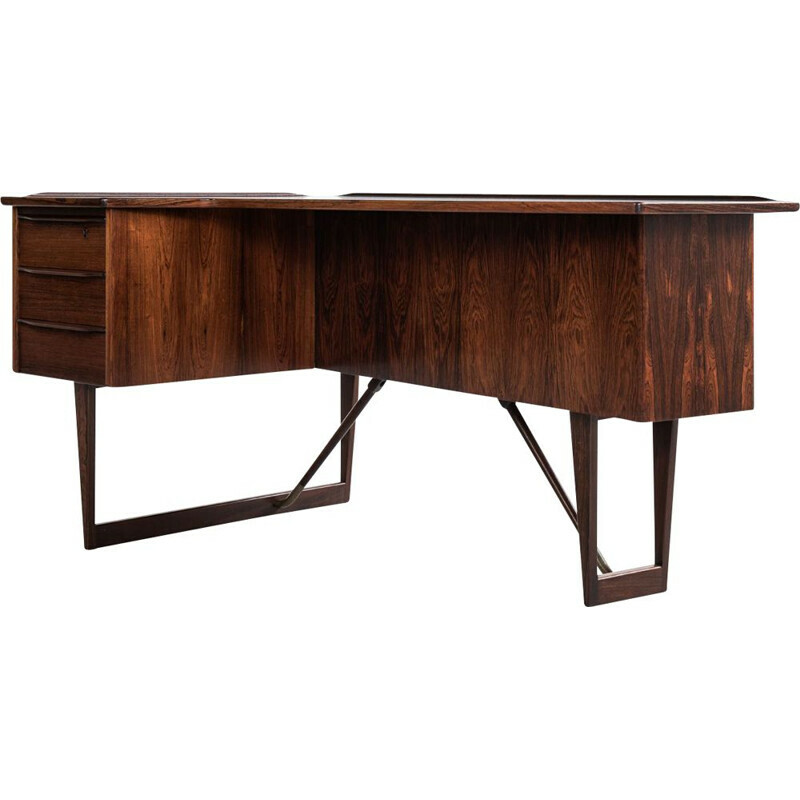 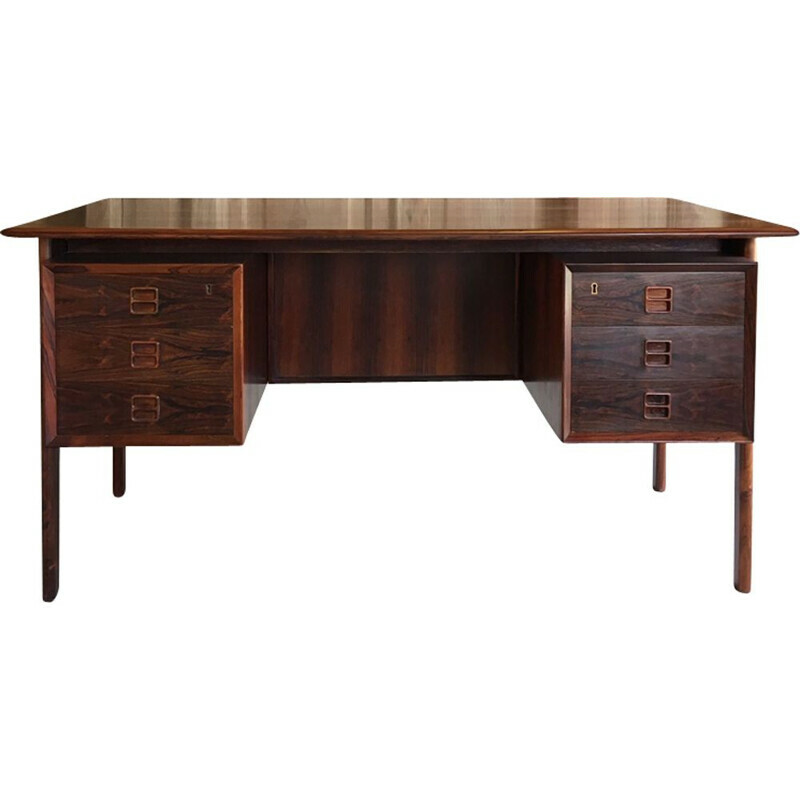 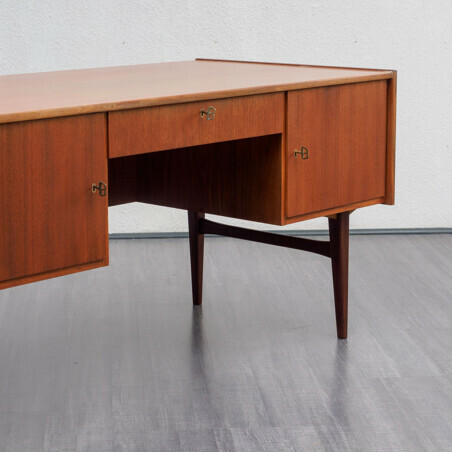 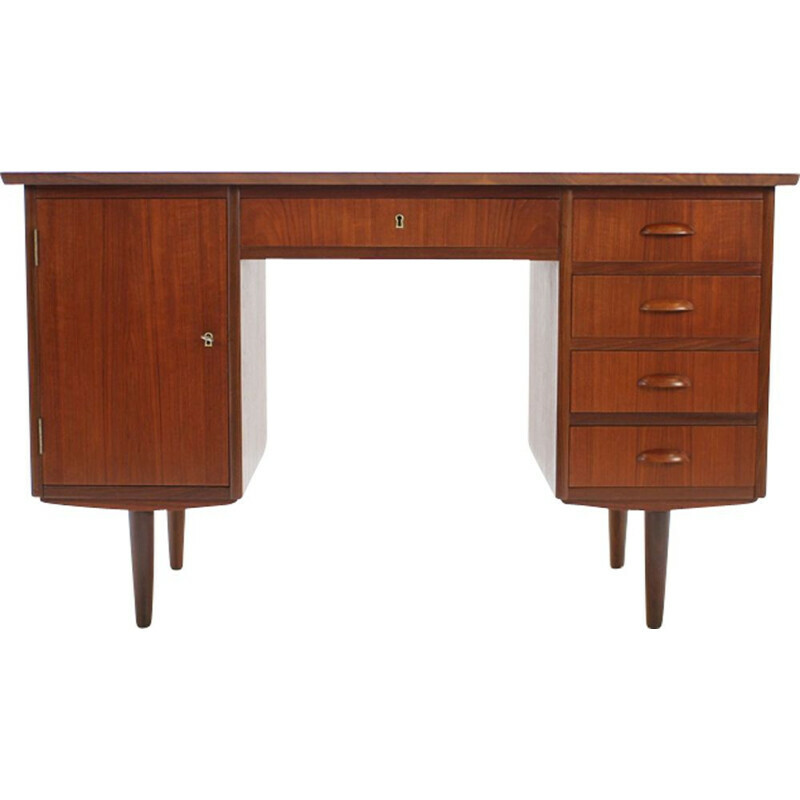 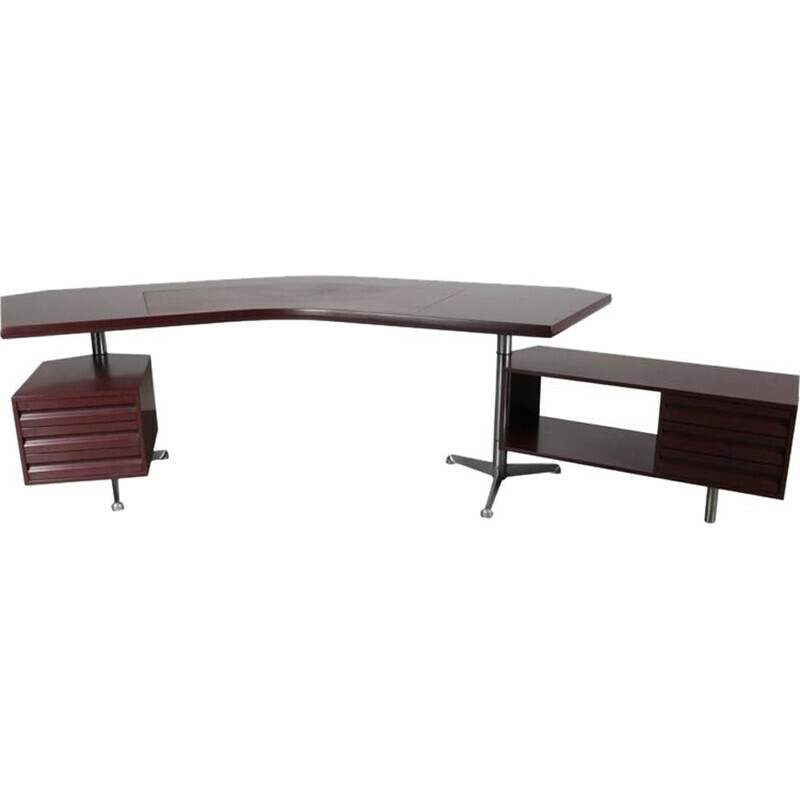 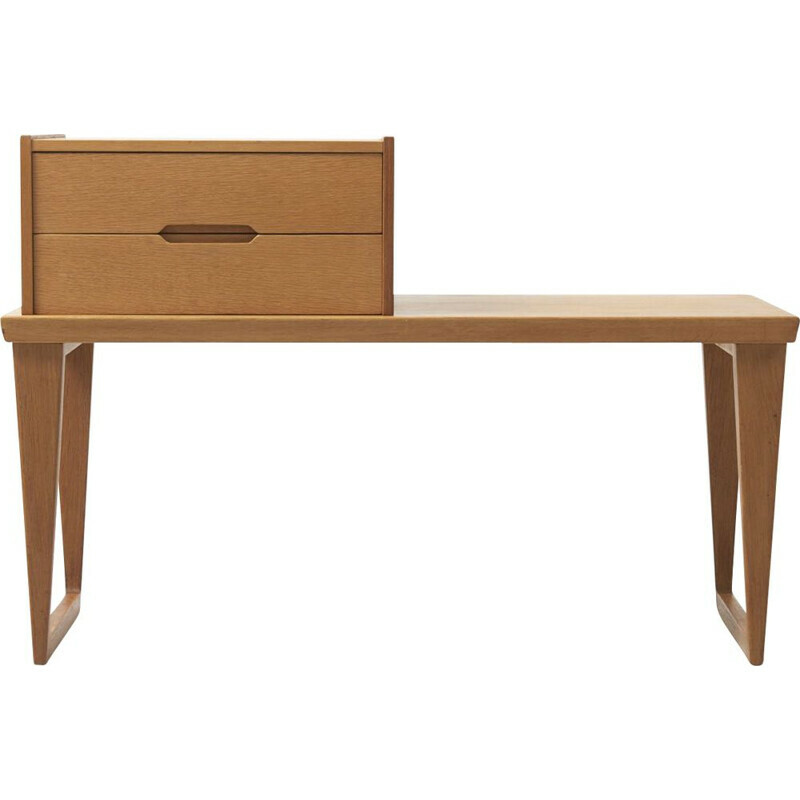 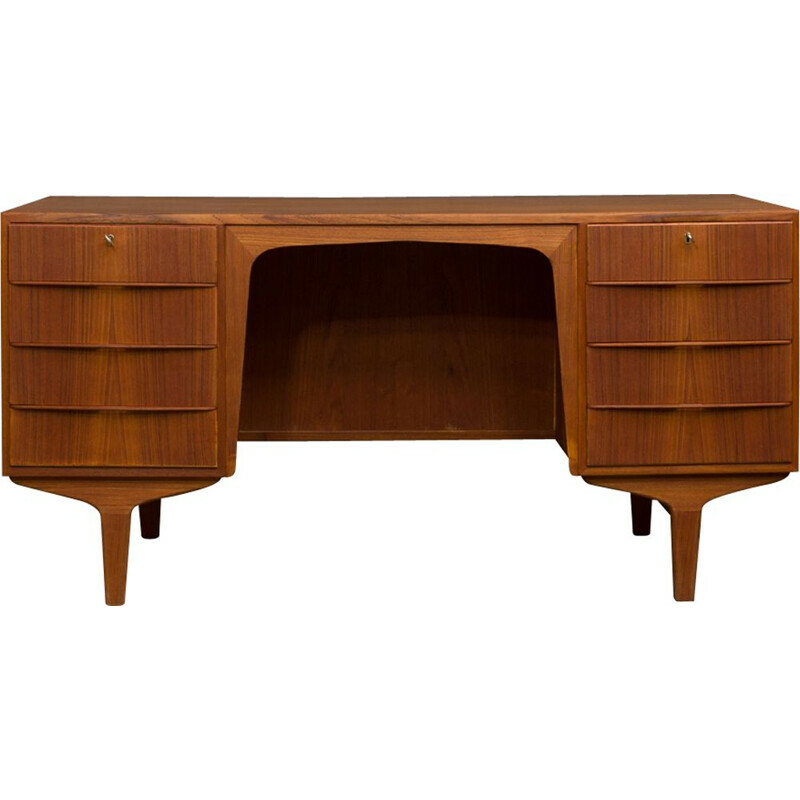 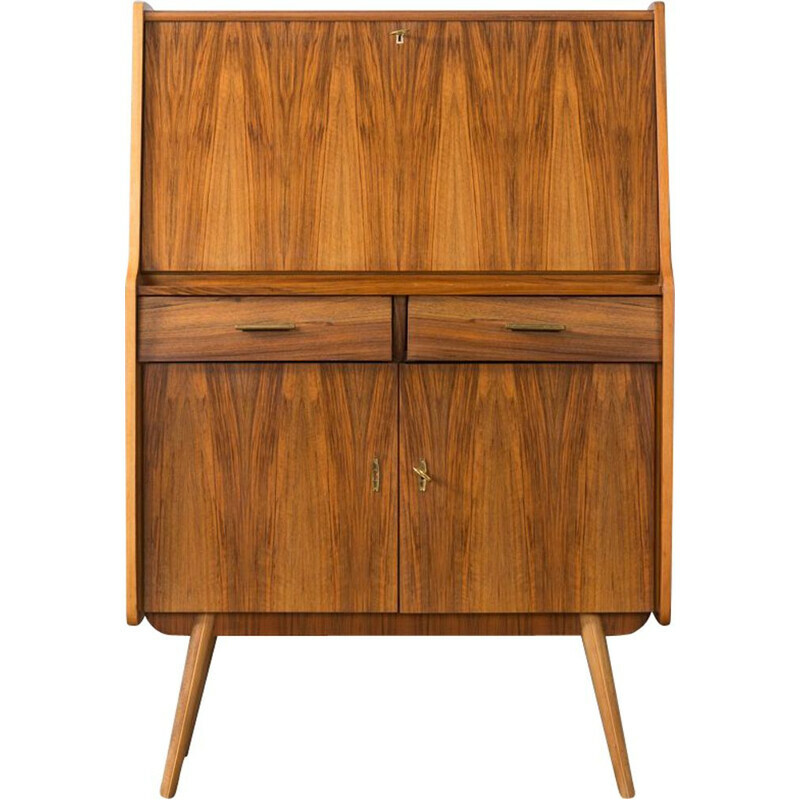 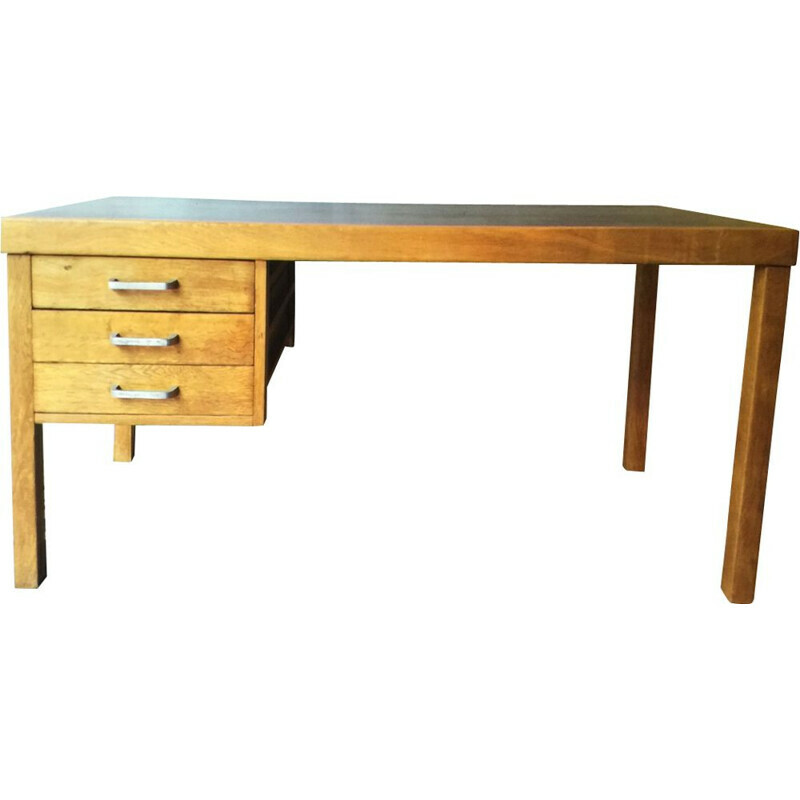 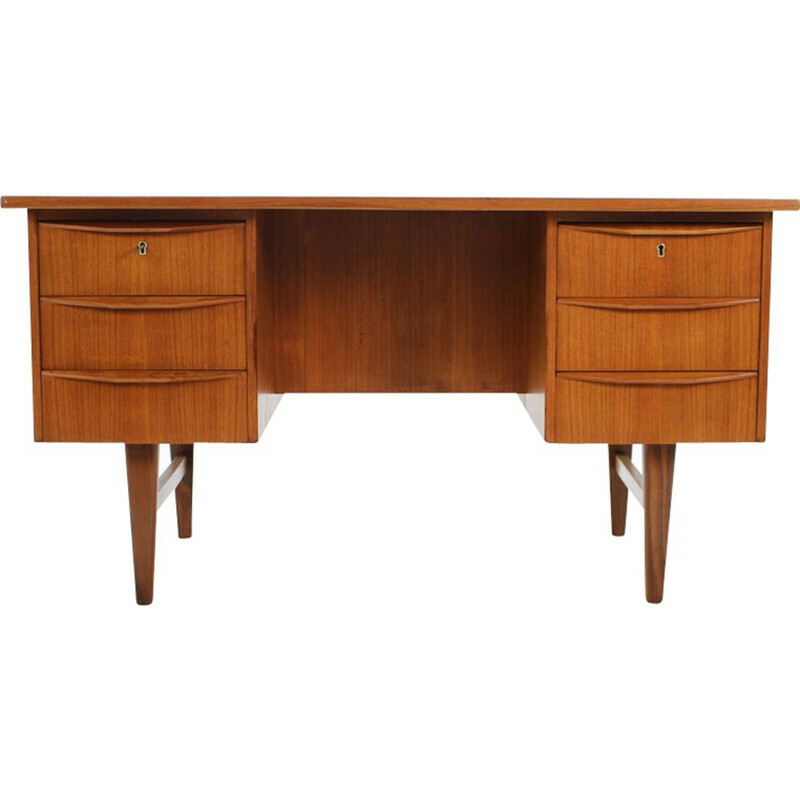 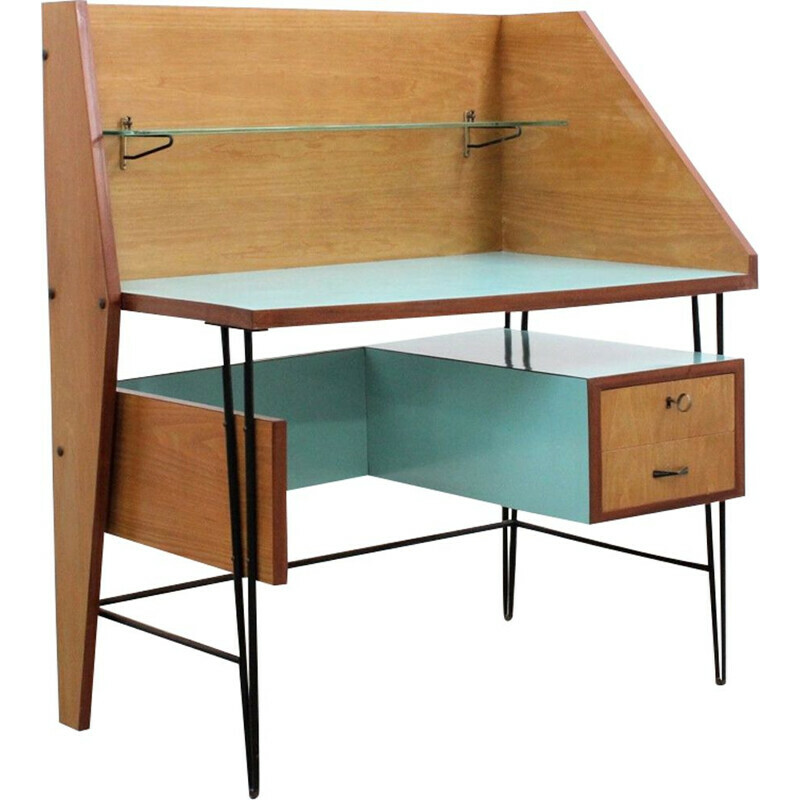 Desk from the 60s with scandinavian style. 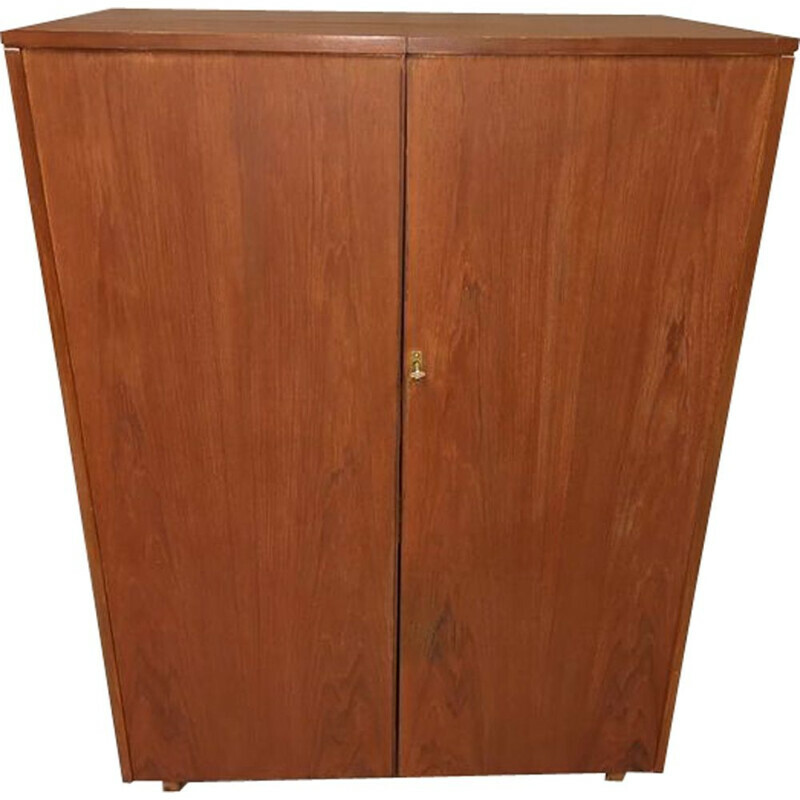 It has 2 lockable doors and a drawer at the front side and 1 lockable door and open bookshelf at the backside. 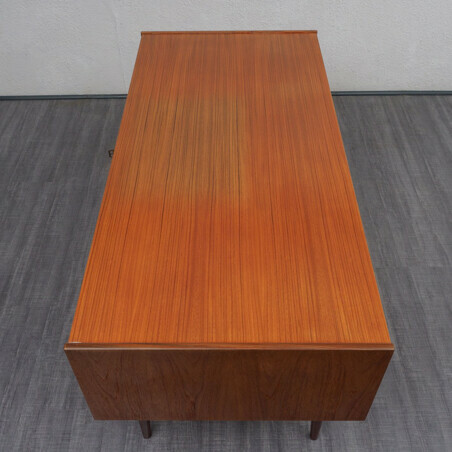 Teak-faced surfaces and legs made of solid teak wood. 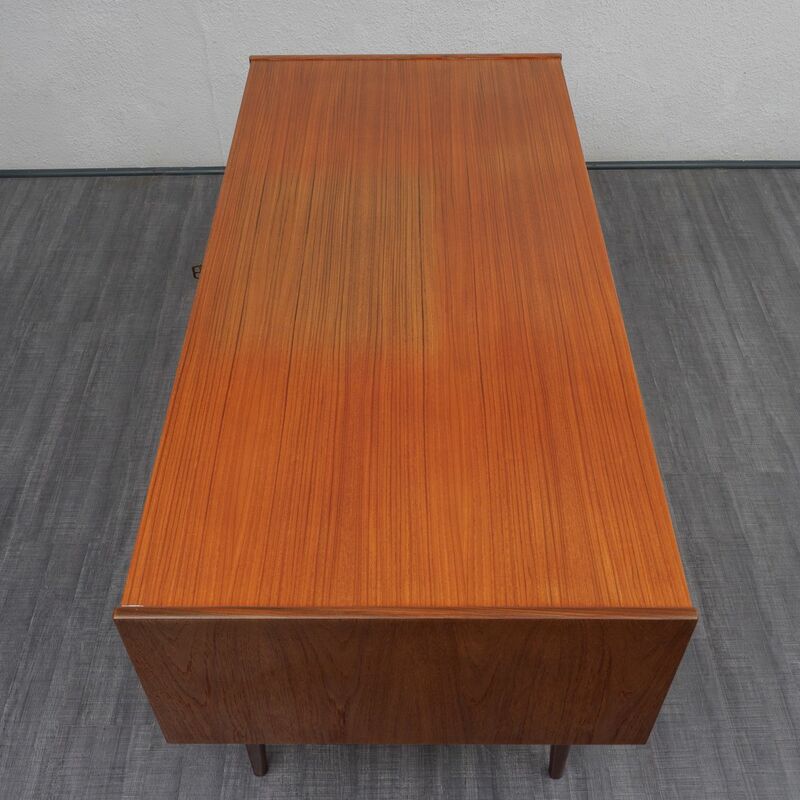 Very good general condition with minor traces of wear. The item has been restored by the cabinet maker.